Dog show for groups 2 & 9 in Tuulos, Finland. Judge Matti Luoso. Siiri - Raven's Tot Fine And Dandy took part in this show. She was Best Female and got last CAC that she needed for Finnish Champion title. 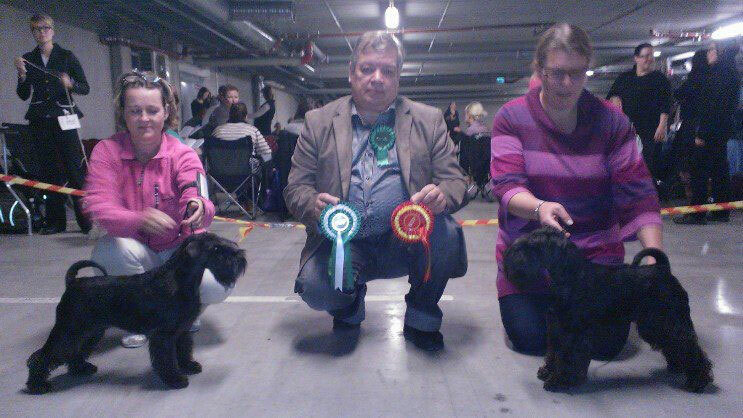 Congratulation to Leena Nousiainen (kennel Nouzer's).